﻿ Cristiano Ronaldo: "I miss English football and Manchester United"
04.07.2013 » Cristiano Ronaldo: "I miss English football and Manchester United"
Cristiano Ronaldo is enjoying his last days of vacations in Singapore. The Portuguese had a quick chat with some journalists and reaffirmed that he still misses the good old days when he played for Manchester United in the English Premier League. Singapore was the location picked by Cristiano Ronaldo for one of his last stops during this summer break. The Real Madrid forward attended the local "Peter Lim Scholarship" event that has been hosted by the Singapore Olympic Foundation and addressed several questions posed by the journalists present at the ceremony. In one of his answers, the Portuguese forward was keen to reassure that his best football years were spent in the English Premier League while playing for Manchester United, a club that he admitted without hesitation to still hold in high esteem to this day, despite having left it back in 2009. While Real Madrid still finalizes the last details for their pre-season friendlies schedule, most of the Merengues first team players enjoy what's left of their vacations. Cristiano Ronaldo has travelled to Singapore with his girlfriend Irina Shayk, and just like he had done last week in Indonesia (when he showed his support for the mangrove tree preservation), this time he also made sure to include a social and charity appearance to his visit. 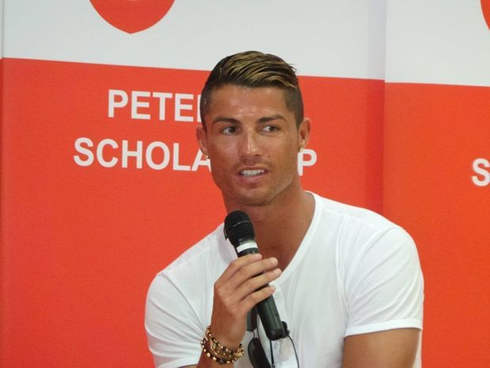 The Portuguese star was the main attraction at the Peter Lim Scholarship event in Singapore and couldn't get away from commenting a few hot topics with the journalists that tracked him down. With a smile on his face, CR7 started by confirming what many already know: He has never been a happier man than when he played in England for the Red Devils. 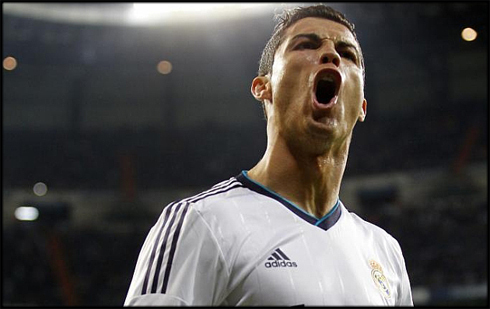 Cristiano Ronaldo: "Yes! I really miss English football! For me, those years I've been in Manchester United were clearly the best ones in my career. I'm sure that's no surprise to anyone. That's a club that is still in my heart and I really miss those times...", remarked a nostalgic Cristiano Ronaldo. Ronaldo: "Now my life is in Spain, I'm enjoying playing my football there too and the truth is part of my life is in Madrid these days. However, we never know what the future holds for us, even though right now I'm very happy at Real Madrid and in La Liga", replied the Portuguese forward. When the time came to comment on the signings that some top European clubs have already made during this summer transfer season and particularly Neymar move to Barcelona, CR7 showed his usual confidence on his team and his teammates. Cristiano Ronaldo: "I just think about my team: Real Madrid. I don't care much about whether we sign 1, 2, 3 or 4 players for next season, simply	because that means nothing for me. I'm aware Bayern Munich have very good players and so does Barcelona, but I play for Real Madrid and we are the best team in the World. I have some of the best players in the World by my side, so I really don't care about what Barça may do for example. I'm just focused in Real Madrid. ", pinpointed the 2008 FIFA Balon d'Or winner. Cristiano Ronaldo is still on his vacations last days, but he'll be return soon to Madrid, in order to kickoff with the club's pre-season preparation. In the meanwhile, you can watch AFC Bournemouth vs Real Madrid, Lechia Gdansk vs Barcelona, Singha All Star vs Manchester United and USA vs Guatemala, all matches available at our soccer live streamings section.